Last night was the album release for Weather Station’s All Of It Was Mine at CSI Annex, a beautiful basement space on Bathurst, south of Bloor. It had been some time since I last saw The Weather Station, and even longer since I last wrote about Tamara Lindeman’s work; I had interviewed Lindeman, along with Ruhee Dewji and Simon Borer, as part of my final piece for Being There. Back then, Lindeman was part of the group Entire Cities, and they had just released their record Deep River. She’s since left Entire Cities, but that doesn’t mean she’s been sitting idle. In addition to this new record, she’s also been performing with Bruce Peninsula, a band I should probably give a second chance to after the performances last night from many of its members. 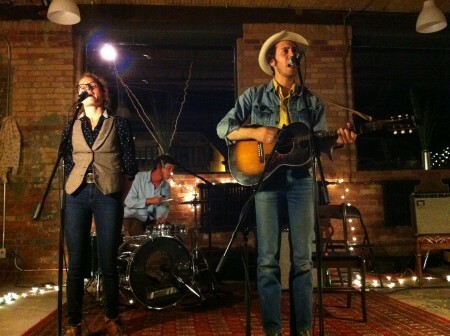 Lindeman’s song are quiet and sweet, occasionally rowdy, and always beautiful. She performed the songs on either a banjo or acoustic guitar, often alone, but sometimes with the help of Daniel Romano (of Attack in Black and Daniel, Fred & Julie) and Mischa Bower (Bruce Peninsula). Opening for Weather Station was Daniel Romano and Eons. Eons were pleasant and enjoyable, but I didn’t have anything jump out at me. Romano, on the other hand, put on an excellent set. He asked a friend in the audience to provide the set list for the night, and between songs would ask what’s next. He often didn’t remember lyrics, and seemed to struggle through the set, but the songs were often amazing country songs, and when he did remember the lyrics, he told good stories. The show wasn’t the most professional put together, the bands didn’t always know what they were supposed to be doing, or even the words they should be singing, but the venue’s couch-laden cozy basement feel makes the audience feel like the band is singing directly to and for them. 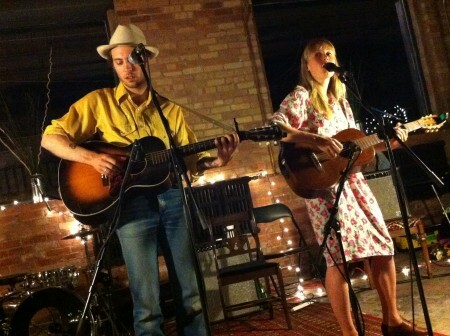 Truly an intimate evening of country-folk.